Who Won Special Awards At Miss Universe 2017? 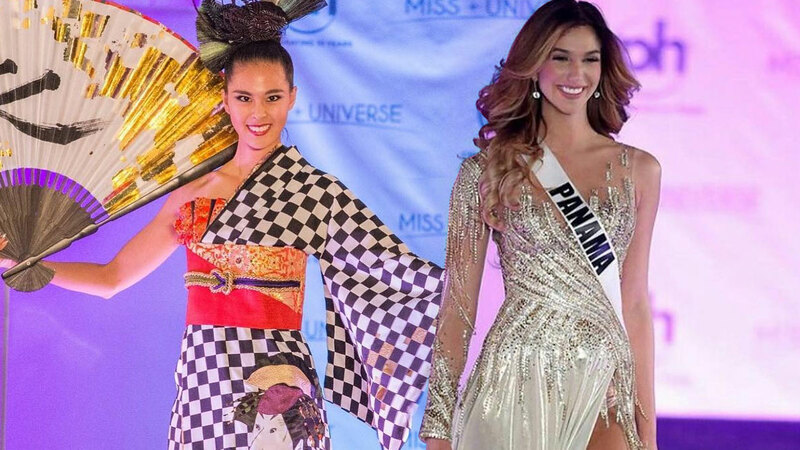 You HAVE to see Miss Japan's national costume! Beauty pageant special awards make everything more interesting! There’s so much more to look forward to with these things—especially after Miss Congeniality has permanently embedded itself into our pop culture consciousness. This year, Miss Panama won the award. She wore a—trend alert!—shimmery, sequined silver gown with a slit that goes up to there. Let’s be real, it started at her hip. From afar, the bodice gave the impression that it was comprised of thin strips of sequins, crisscrossed over her frame. Some even fell off the hip, giving the dress movement. The winner of the national costume, on the other hand, was a different kind of extra. Miss Japan wore an all-black ensemble: a cinched wrap dress with over-the-knee boots, beaded chandelier earrings, and a fascinator. Not that it was plain—because it certainly had a lot of details—but it made Steve Harvey ask, "Is that it?" It apparently had a lot more to offer! With a tug at the neckline, it dramatically unfurled into an asymmetric, floor-length checkerboard kimono with a red-and-gold obi and a traditional portrait on the thigh. She opened her oversize fan to reveal a Kanji character on it that roughly translates to "beauty." Were you able to catch that transformation?